The Proteas newest Test member has learnt a lot about his batting this season after his international breakthrough. 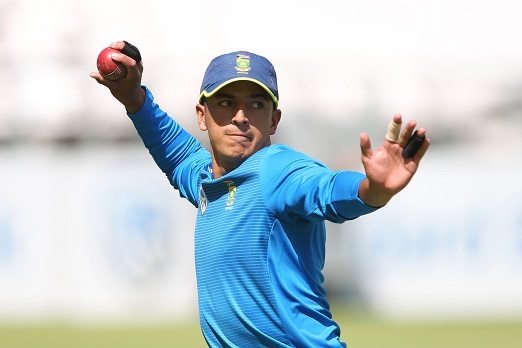 It’s been a year of massive learnings for Zubayr Hamza and the young batsman says his attitude, as he looks to add to his one Test cap this week when South Africa take on Sri Lanka in the first Test in Durban, has been to just keep trying to produce runs. The 23-year-old comes into the Test, which starts on Wednesday, on the back of a double-century for the Cape Cobras and Hamza is pushing Theunis de Bruyn hard in terms of selection. Hamza certainly looked the part as he scored a fluent 41 in his first Test innings, against Pakistan at the Wanderers last month. Proteas environment, I didn’t feel any pressure to be anything but myself and if you’re comfortable off the field then you can fully immerse yourself in what needs to be done on the field. the Proteas. It was big learning curve and I would watch the other batsmen, how they go about their business, steal with the eyes,” Hamza said at Kingsmead. Hamza’s 201 against the Dolphins just up the road in Pietermaritzburg, was his first century of the summer and he admitted that he has had a tendency to look extremely good at the crease without always going on to a big score. was pretty special and I tried to embrace all the emotions – there was pride but also big nerves when the wicket fell and I had to make that long walk down the Wanderers stairs. “But once I was off the mark then I was able to just enjoy myself. I told myself just to treat every ball exactly on its merits, good or bad. The intensity of Test cricket is obviously higher, but that brings out my competitive nature and the adrenaline certainly helps,” Hamza said.